Want a high-paying job with security and potential for growth, as well as a chance to use your creativity and problem-solving skills every day? The tech industry could be a good fit for you. But this isn’t necessarily the case. In the past few years, coding bootcamps have popped up all over the world. Their promise––to take non-tech types and transform them into tomorrow’s developers and engineers, often in as little as a few months or weeks. Buyer beware, however: these programs aren’t cheap, and they’re not created equal. While less expensive than most two- and four-year degrees, bootcamp programs will often run you thousands of dollars. Plus, there’s no guarantee that you’ll get a job afterward. 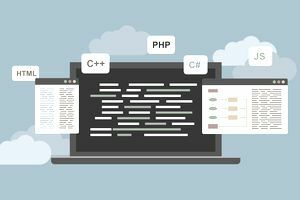 To get the most out of a coding bootcamp, it’s important to know what these programs offer, how to choose a program that’s right for you, and how to maximize your chances of getting hired once you graduate. Here’s what you need to know. Before you even consider a bootcamp, the most important information to acquire is a bit of self-knowledge. What, exactly, are you hoping to get out of the program––a better job, an entirely new career, new opportunities? This is all the more important if you’ve never held a technical role before. Many skilled programmers are self-taught; others have degrees in their field. But what they all have in common is a passion for their job. If you’re not sure whether you’ll love being a developer, engineer, data scientist, etc., it may be better to start off by taking one class, to get your feet wet, before jumping into a bigger commitment. Remember: finding the right career isn’t just about the occupational outlook and pay. Fit is the most important part. Does that mean that you can’t make the leap from, say, former English major or retail worker to web developer? Not at all. But it does mean paying careful attention to some practical aspects of bootcamps before making your decision. More on that in a moment. Tech companies don’t run on technical staff alone. If you’re already working at a tech employer, but need some help jumping from administrative or other creative work to a more technical role, a bootcamp––or even just a few classes––might be a way in. If this is your situation, your best bet is to use the connections you have right now to determine the most expedient way to get to where you want to go. Some of the most valuable networking you can do is at work. You might be surprised at how willing people are to tell you about their career journey and share tips on how to forge a similar path. One benefit of bootcamps is the chance to make a lot of connections in a short period of time. The teachers, previous alumni, even your fellow students are all potential members of your network. How valuable that network is depends on how much support the program provides post-graduation (e.g., do they offer job placement assistance and/or an alumni network?) as well as your own initiative. A reputable program will be willing to share job placement rates with you, as well as specifics on what kinds of jobs graduates tend to land after participating. That last bit is important because you’re presumably not shelling out $10,000 or more to get a job that pays the same or less than your current gig. Other programs participate in an evaluation model from Entangled Solutions, a consulting firm, or post their own stats. Again, buyer beware. If you’re going to pay top dollar for a career-changing program, you better make sure it provides you with an on-ramp to employment post-graduation. Some bootcamps offer alumni networks, mentoring programs, even job guarantees. Just be sure to read the fine print. The last feature often comes in the form of partial tuition reimbursement if you don’t get a job in the field. That’s better than being out the full price, of course, but it won’t buy back your time. Finally, before you make your decision, it’s worth looking at those graduation outcome stats one last time to calculate your likely ROI. Will you earn enough to pay off your investment? Be sure the numbers add up before you take the plunge.